Positions for highly motivated graduate research assistants and postdocs are available. Graduate research assitants must be from computer science-related background and can choose from a variety of bioinformatics topics sponsored by NSF and/or NIH. Perspective postdoc applicants will be mostly working on computational cancer systems biology topics funded by NIH and are expected to have background in at least TWO out of the following three areas: algorithms, statistics/machine learning/data mining, and molecular biology. Dr. Jianhua Ruan holds a Ph.D. in Computer Science from Washington University in St Louis (2007), M.S. in Computer Science from California State University San Bernardino (2002), and B.S. in Biology from the University of Science and Technology of China (1998). 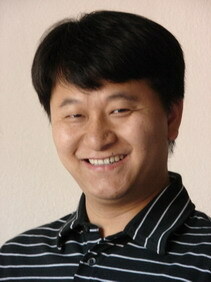 His research interests lie in the broad area of bioinformatics, computational biology, and machine learning. More specifically, his current research focuses on three areas: (1) machine learning methods for modeling and analyzing cis-regulatory networks; (2) graph algorithms for analyzing complex biological networks to facilitate knowledge discovery; and (3) data mining approaches to biomarker discovery and disease prediction via integrated analysis of heterogonous "omics" data. In addition, he has extensive collaborations with biologists at UTSA and the UT Health Science Center for a broad spectrum of bioinformatics applications involving genomic, transcriptomic, proteomic, and epigenomic data. He received a Best Performer award in the Third Annual DREAM Reverse Engineering Challenges in 2008. His research is sponsored by NIH, NSF, and the San Antonio Life Sciences Institute.